1. I’m currently reading “This Is How I Find Her” by Sara Polsky. 2. I recently finished “The Winner’s Curse” by Marie Rutkoski. I enjoyed this book! 3. I can never seem to come up with an answer for this one. I’ve got a few books on hold at the library that I’m waiting to come in, and a number checked out that I want to read. There’s just not enough time in the day! What are your WWWs for this week? Wow, it’s been awhile. Life kind of just happened and I had to deal with it. But I’m back with another Teaser Tuesdays from a book I just started. I grip the edges of my seat tightly, waiting, saying nothing. Dr. Choi has done this before; he must know all the things I want to say. All the questions I want to ask. Do you have any teasers to share for Tuesday? I hope everyone had as a great week! It’s been a busy up and down week for me and I’m so glad to see the end of it. Next week is going to be pretty much of the same. This week library wise…so much was due back and it was either take it back or renew it. Most of the renewed stuff was just renewed today. I don’t remember checking so many books out in one day, but I must have gone on a book binge four weeks ago. See, I hoard library books. This is proof. 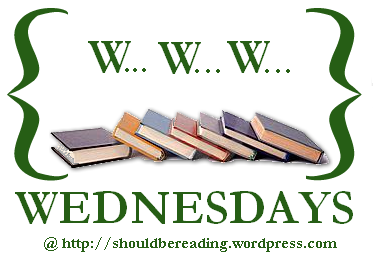 What book(s) did you pick up from your public library this week that you can’t wait to read? Or did you have a renewal that you’re glad to hang on to for a few more weeks?